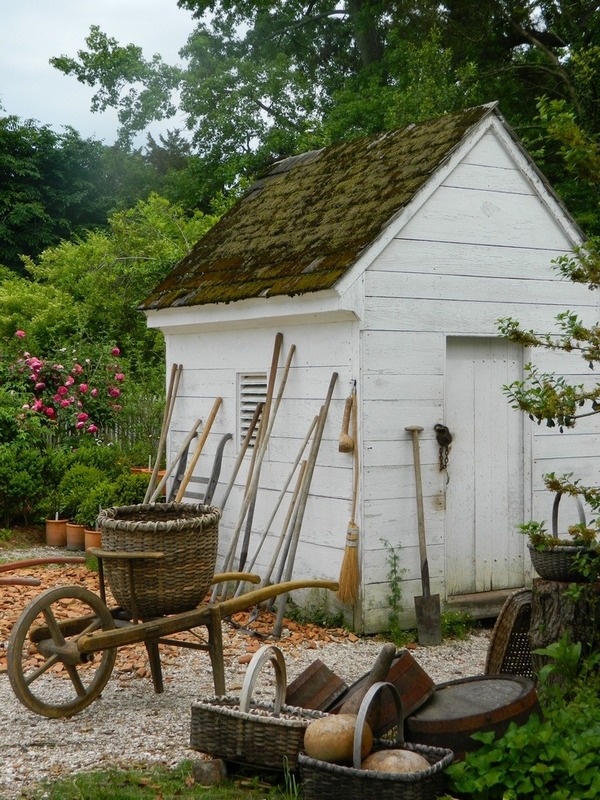 Now THAT looks like an authentic garden shed used by a real gardner...not a pretend-a-shed containing tools never used because they have a gardener who comes weekly and carries all his own tools in a trailer behind his truck. This looks like it might be Williamsburg. It's a very charming structure.